On the occasion of celebration of 24 years of wedding anniversary of Moushumi and Omar Sani, a get together party was held at a city restaurant on August 2. 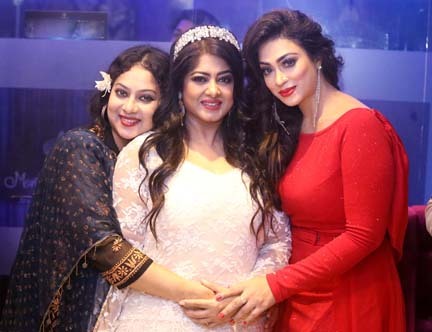 Three National Film Award winner heroines - Shabnur, Moushumi and Poppy were seen in the programme. They also took part in a photo session. It is noted that Poppy is a cousin of Moushumi in real life. In fact, it has become one of the rare photographs of these three actresses.